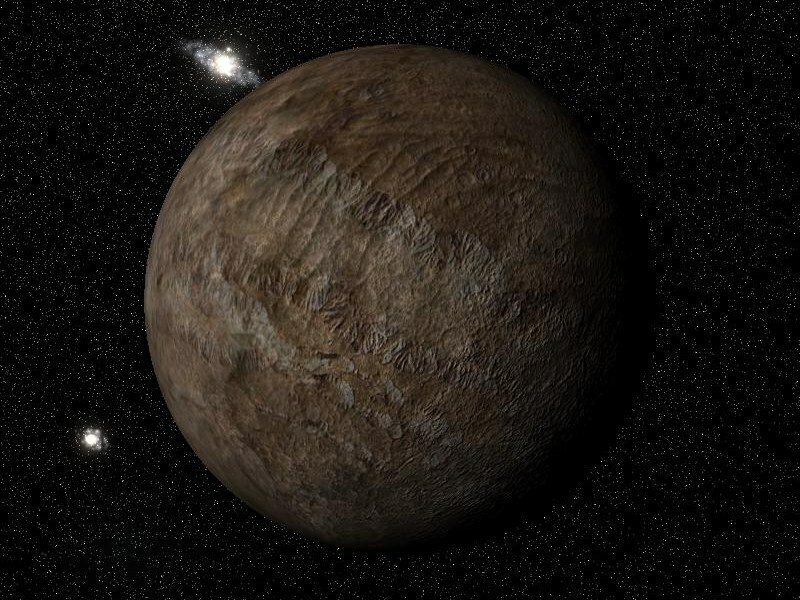 The Vermillion system orbits a dim k-class star. 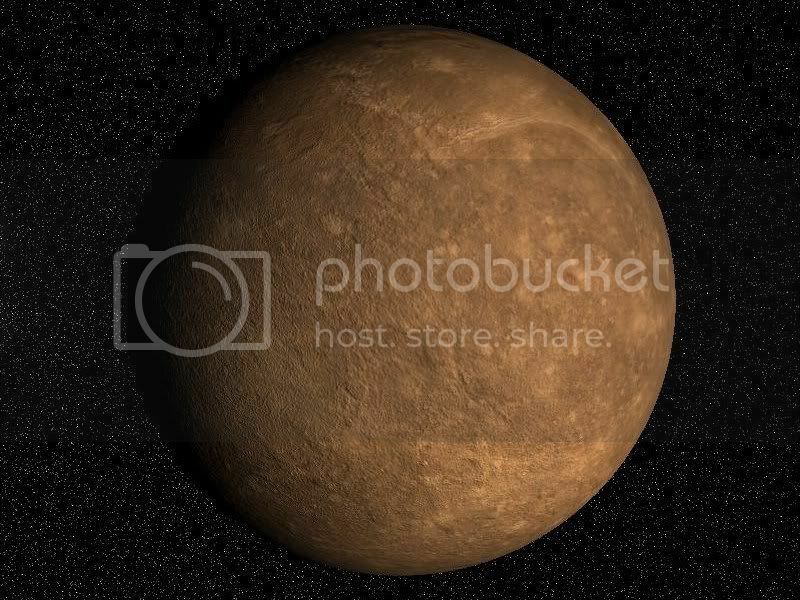 The primary planet is a cold world despite having a similar orbit to Mercury. 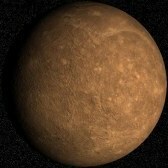 Vermillion B is a cold world despite it having nearly the same orbit as Mercury. 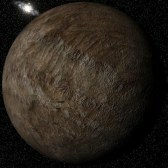 The reason the planet is so cold is that the parent star is so dim, being an orange k class star. 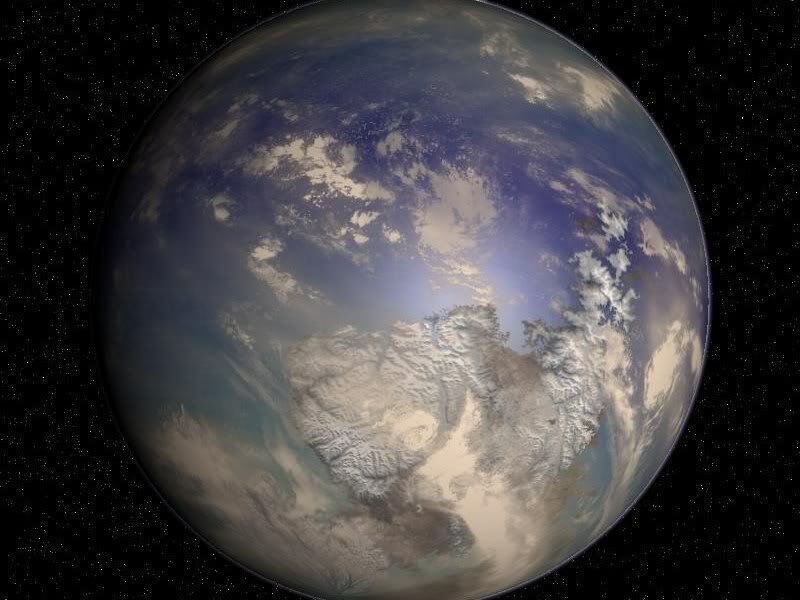 The planet is in the grips of an ice age, ice covers most of the main continent. Vermillion C is a cold world made up of ice and rock. The planet is volcanically active causing deep grooves across the surface. There is a very thin atmosphere made up of mostly carbon dioxide. 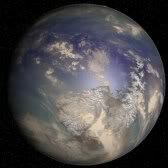 Vermillion D is an ice covered world without an atmosphere. The planet glows orange in the dim light of the sun. Vermillion E is an outer terrestrial world orbiting far from the dim star. Its atmosphere is made up of nitrogen giving the clouds a brownish orange hue. 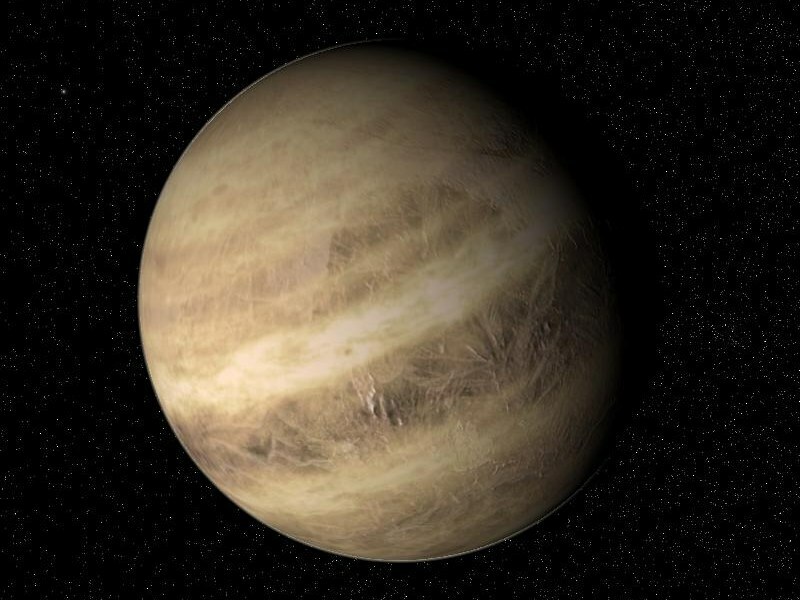 Snowstorms of methane are the most common site on the surface. 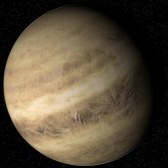 The distant gas giant of Vermillion F is a hydrogen-helium gas giant and the systems only jovian world.